Hello everyone! This is Dawn from Not Just A Mommy and I like to throw parties, craft and go fun places…and that’s what I blog about. 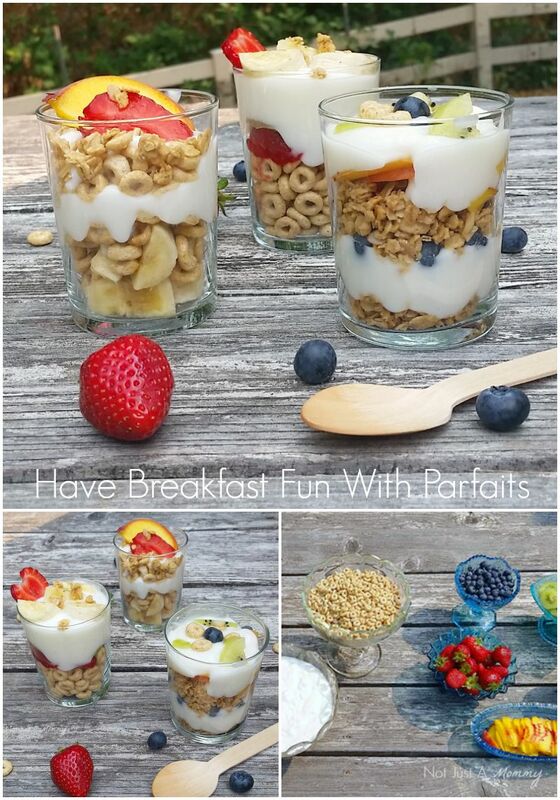 I’m thrilled to be here today sharing one of my favorite and oh-so-easy breakfast ideas, making parfaits! My boys have been eating parfaits since they were little and we’ve done it for countless sleepover breakfasts because it’s a crowd-pleaser. Kids like to make healthy choices if they are given a variety of options, they may even try something they’ve never had before. 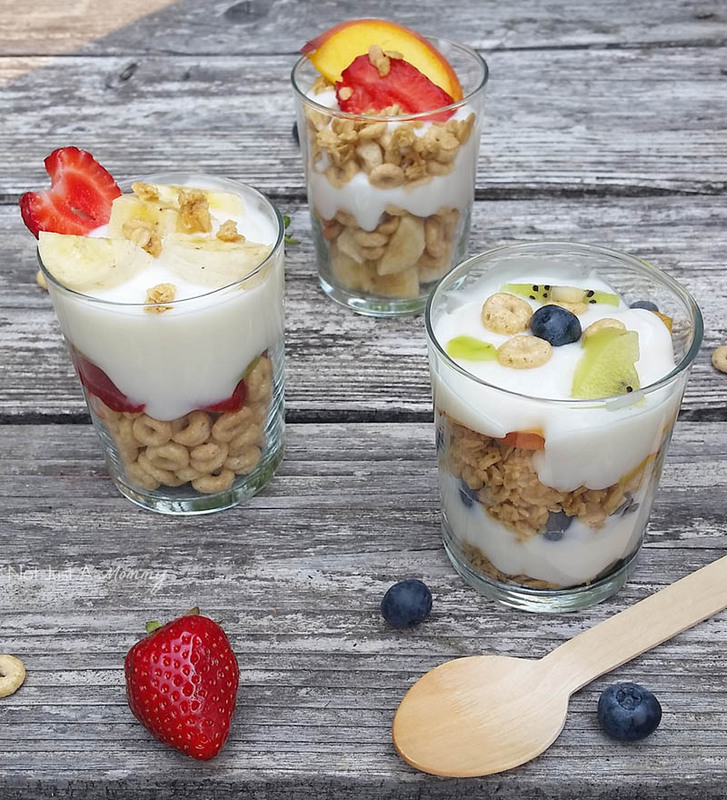 All you need are three basic supplies; dry cereal, fruit and yogurt…how you choose what to mix and match is limited only by your imagination and budget. Below, I’m sharing a few ideas to get your creative juices flowing to set up your own parfait bar. There is no wrong way to make a parfait but I do have one rule; make it colorful and have fun! If you are looking for other healthy and fun ways to eat, check out my tips on fridge and pantry snack bins and easy lunch box ideas.